Children rarely pay much attention to what their parents are doing. Children of parents on the wrong side of the law are no different. They may overhear conversations around the house, they may see headlines in the media but they do not really connect the dots. Two books this spring offer portraits from the criminal world: years after their fathers died, the daughter of notorious New York mobster Meyer Lansky and the son of Toronto bookie Davy Bossin look back with fondness for their dads. Both men were in illegal gambling. In fact, stories about some characters mentioned in one of these books are fleshed out in the other. However, the families led extremely different lives. Lansky, who organized “organized crime,” lived in unbound luxury, while Bossin, a bookie who worked for people who were Lansky associates, had a more modest life. Yet both fathers were sons of Jewish immigrant families who came to North America in the early 20th century. Born three years apart, their Jewish roots were never far from the surface, regardless of what else they did. 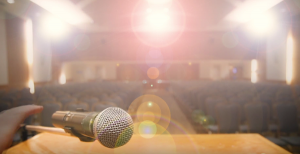 Canadian folksinger Bob Bossin tells the story of his father in Davy the Punk: A Story of Bookies, Toronto the Good, the Mob and My Dad (Porcupine’s Quill). Bossin was 17 years old when his father died in 1963. He searches to understand what his father did, piecing together an image from recollections of family and friends, newspaper clippings and official government records. With his talent for storytelling and sense of wry humor, Bossin provides a cinematically rich narrative that allows readers to feel they are eavesdropping on conversations among close friends who are not such bad guys. It’s easy to picture the circle of seasoned Jewish men sitting around a coffee-stained table, telling tales. Bob Bossin tells the story of his father in Davy the Punk. Bossin frankly admits that some of the anecdotes he recounts may be not completely true. He comes from a family of storytellers who, he says, quoting U.S. journalist A.J. Liebling, diverge from recorded history “only to improve upon it.” In this world, a good story trumps just about anything else. Bossin begins at a Toronto ballpark, Maple Leaf Stadium, where his father’s cronies swap stories, argue politics and only incidentally watch baseball. They talk about Benny the Shoykhet, who was a bookie and kept a few kosher chickens in case of a police raid, and Arnie “the Shnook” Schneider, who was busted for bookmaking 67 times but was never sent to jail. Mysteriously, the court lost records of previous incidents and considered each arrest as a first offence. With stories about his grandparents, Bossin places his family inside the historical moments of a generation of Jews who emigrated to North America from Eastern Europe in the early 20th century. Davy was born a few months later, in 1905, on a ship taking his grandmother to reunite with his grandfather in Toronto. The Bossins remained poor and continued to feel the sting of antisemitism in Canada – Eaton’s and other stores would not hire Jews, for example. But, in Canada, there were no pogroms. 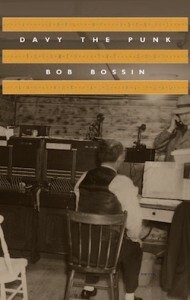 The Bossins, like other Jews, were left alone to live their lives. Bossin believes that his father quickly abandoned his Judaism in the New World, but a small spark remained. Every week, his father went back to his parents’ home for Shabbat dinner. The family finally escaped poverty and prejudice through horses. Bossin cautions that his account may not be exactly true but, if it is, his father was 11 years old when legendary racetrack owner Abram Orpen brought him into the gambling business. By the age of 17, his father was a “tout,” who hung around the racetrack offering tips to betters. Eventually, he became “a lay-off artist.” Bossin explains that bookies spread their risk of unexpected losses by laying off bets, similar to re-insurance in the insurance industry. Arnold Rothstein, a powerful U.S. gangster best known as the man who fixed the 1919 World Series, developed the system for bookies across North America. As “a bookie’s bookie,” his father avoided run-ins with the law for almost 20 years. His father was also involved in broadcasting horse-race results for bookmakers from tracks across the country. He ran the Toronto operation for U.S. gangsters, eventually having more than 50 phones in his home. Police repeatedly tried to close him down, beginning in 1939, but the only penalty he ever paid was a $10 fine for running a business out of his home. Every incident mentioned in the book leads to another engaging story about his father’s circle of friends, punters, gangsters or the occasional crackdown on gambling. Bossin’s father, who is lovingly portrayed as a quiet, generous man, moved from horses to nightclubs in the early 1950s, running Theatrical Attractions, a talent agency that booked stars such as Sammy Davis Jr. and Ella Fitzgerald. He managed the Crew Cuts before they had big hits. Davy died at the age of 58. 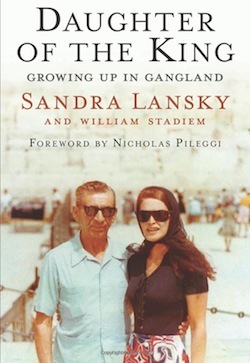 In Daughter of the King: Growing Up in Gangland (Weinstein Books), Sandra Lansky, assisted by writer William Stadiem, writes mostly about her own life. Along the way, she offers a complimentary portrait of her father. Meyer Lansky got his start in booze and illegal gambling during Prohibition. Once liquor became legal, he became a nightclub impresario. At the front of the house, he had A-list entertainers; at the back, he ran glamorous but illegal gambling dens. He operated clubs with partners across the country. He was accused, but never convicted, of establishing his businesses through a network of associates who relied on graft, bribery and murder. Similar to Bob Bossin, Sandra Lansky was also unaware of her father’s activities as she was growing up. In the late 1950s, shortly before the Cuban Revolution, Lansky opened a luxurious casino in Havana. The good life evaporated after Fidel Castro shut down the casino in 1960. Once Lansky returned to Miami, Robert Kennedy and the FBI launched an aggressive crackdown on organized crime, with Lansky clearly a target. However, when he was finally brought to trial in 1973, he was acquitted. Similar to Bossin, Lansky was also unaware of her father’s activities as she was growing up. She was a teenager before she heard anything about his reputation, and she never confronted him to find out if the accusations were true. A loyal and loving daughter, she portrays government efforts to stop gangland murders and illegal gambling as unwarranted campaigns against a hardworking businessman. For her, gangsters Frank Costello and Bugsy Siegel were uncles, not the kingpins of criminal networks. Although she knew many of the mobsters, she includes no new revelations about the mob. Instead, she offers Oprah-type admissions about her upbringing as a spoiled rich kid, her torrid affairs with Dean Martin and others, her disastrous marriage and her drug addiction. With its irritatingly sassy tone and sordid tales of decadence, the book makes it difficult to like, or even be sympathetic, to any of the people in her life. Her father moved much further away from his Jewish heritage than did Davy Bossin, so far that his daughter did not realize she was Jewish until she was a teenager. She writes that her parents did not see themselves as Jewish. But she relates that she found out her father in the late 1930s used his muscle men to break up Nazi rallies on the Upper East Side and helped mobilize dockworkers to root out Nazi sympathizers during the war. He also provided arms and money to Israel in 1948. When authorities came after him in the 1950s, he responded viscerally to the barely concealed antisemitic and anti-immigrant bigotry of the crusaders. “I will not let you prosecute me because I am a Jew,” he defiantly told them. In the 1970s, he tried – unsuccessfully – to escape U.S. crime busters by claiming citizenship in Israel, where his grandparents were buried. Meyer Lansky died of lung cancer at 81. Forbes had estimated his net worth at $300 million. But where was the money? The family never found it. At least, that’s what his daughter says. Media consultant Robert Matas, a former Globe and Mail journalist, still reads books. Both of the books reviewed here are available at the Isaac Waldman Jewish Public Library. To reserve them, or any other, call 604-257-5181 or email [email protected]. To view the catalogue, visit jccgv.com and click on Isaac Waldman Library.